Wendy Wasserman won a Pulitzer Prize for Drama, a Tony Award, a New York Drama Critics Circle Award, and a Drama Desk Award throughout a playwriting career that spanned almost four decades. Her most lauded play, The Heidi Chronicles, debuted on Broadway in 1989, running for 622 performances and collecting numerous prestigious awards. 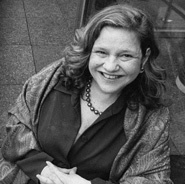 Through her oeuvre of 11 plays, five works of nonfiction, and a novel, Wasserstein explored such issues as feminism, ethnicity, political activism, and pop culture. Critics described her voice as a writer as both witty and incisive. Her 1992 play The Sisters Rosensweig explored the lives of three Jewish sisters and broke theatrical ground with its casting of middle-aged women. The play was a huge critical success and won, among other honors, five Tony awards. The film adaptation of her graduate thesis play Uncommon Women and Others (1977) provided breakthrough roles for actresses Glenn Close and Meryl Streep.